The Gourmet Tea is a tiny store in São Paulo which offers a world of flavors in a shop that unfolds onto the street from a compact cube. 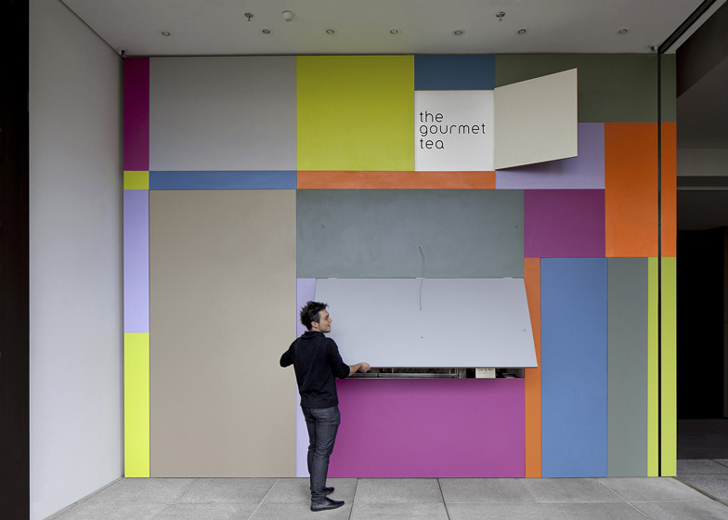 Drawing inspiration from the tea company’s colorful product packaging, architect Alan Chu created the kinetic micro shop, which somewhat resembles a Mondrian painting when closed (folded) up. When open, the shop is a modest but playful place to explore the leafy goodness. Chu even managed to place a small bistro behind the counter. Contained entirely within a 2.5 x 4.5 x 6 meter shell, The Gourmet Tea’s shop-in-a-box may be the coolest tea cabinet we’ve seen. Behind the colorful exterior, a central hinged panel swings up to reveal the counter. The L-shaped serving space rolls out to define the area. Shelves to the left swing out while a presentation unit to the right rolls into the street to grab the attention of passers-by. Even the sign is hidden behind a panel, completing the shop’speek-a-boo feel. The deft compactness is more than skin deep. Behind the roll-out counter a prep area is created—room enough for a couple of employees to prepare orders and make espressos. Above, a stock closet is accessible by ladder, making full use of every nook and cranny of the space. The Gourmet Tea is a tiny store in São Paulo which offers a world of flavors in a shop that unfolds onto the street from a compact cube. 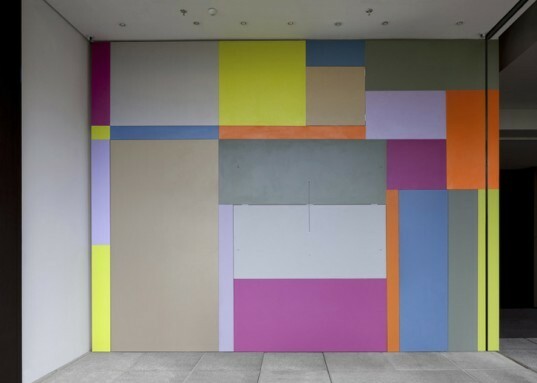 Drawing inspiration from the tea company's colorful product packaging, architect Alan Chu created the kinetic micro shop, which somewhat resembles a Mondrian painting when closed (folded) up. When open, the shop is a modest but playful place to explore the leafy goodness. Chu even managed to place a small bistro behind the counter.